What would people say about me? Would they miss me or be happy am gone? Be grieved or excited all because of my departure? If I died today would they say? If I died today, would my relatives remember me,or would they easily forget me because in the first place I really never was there. Would they miss my presence or would life go on with no sorrow that am gone. Would they count it a blessing or would part of them cry "Why Lord" yet trust him that he knows best? If I died what would they say? If I died today what would my friends say? Would they know I was gone because nobody could fit my shoes anymore or would someone easily replace me, because I really left no value? Would they say I was everything to them or would their mind say "eish,Good riddance"? Would they cry for me if I left? What would my parents say, would they say I pleased them or caused them more hurt than they could bear? Would they cry because I was no longer there or because somehow the number of children had reduced to one and that was too good to be true? Would their hearts be broken or would they only then start to heal? Would my church feel my absence because I was always in their presence? Would the guard on the street or the lady in the market miss my smile, or not even care because of my frowns that made their days gloomy just from staring at my face? Oh if I died today,where would I go? Most importantly if I died today what would God say? Would he run to hold me and say "Welcome Home, I missed you" or ask me "Do I know you?" Would he say you work is finished or say i was just useless? Would he give me that crown or say am sorry your name is not here? Would he give me a smile or sadly show me the door out? Would God recognize me even though i recognized him? Would he say I created you, yes, but we were never intimate? Oh what would happen if I died today? 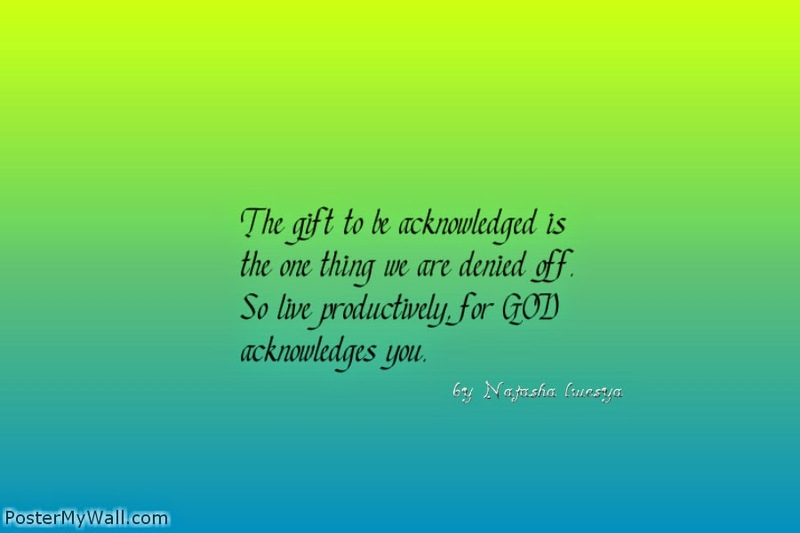 Though I think this,I realize am breathing, his grace is still sufficient allowing me to still make a difference. To my Parent,my friends, my church, those people I don't know but especially with my relationship with him.. He gives me a chance, to in my heart go home, even though my body is here.. But this is all just for now! What do I now do with my "today". ?